Very Good. 0140023356 ALL BOOKS SHIPPED WITHIN 1 DAY OF PURCHASE! Good. 0140287574 ALL BOOKS SHIPPED WITHIN 1 DAY OF PURCHASE! Very Good. 0140180532 ALL BOOKS SHIPPED WITHIN 1 DAY OF PURCHASE! Fair. 0140023356 THE COVER IS DIFFRENT TO THE ONE THAT IS SHOWN POOR CONDITION RECOMENDED READING COPY ONLY. Very good read, especially for someone other than a minority. A minority would understand but others would become more aware of the feeling of minorities while gaining some insight and depth into the psyche of others. Ellison's book is full of exquisite figurative language and even though my copy had 503 pages, I read it until the end. I was amazed at how he presented all types of personalities in his books, ranging from revolutionary Blacks such as Ras the Exhorter to communistic groups like the Brotherhood. 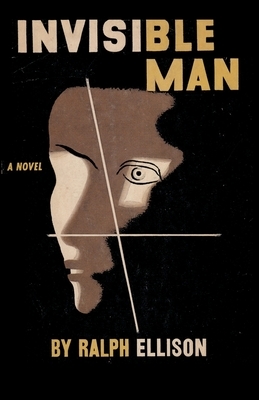 It seems that each situation the Invisible Man is in is a dilemma to its most extreme. Still, at the end of the book, it seems he still hasn't learned his way. The overall lesson I think is "They don't like you, they'll never like you. Be with your people." This book is excellent to use for discussion and I can see why it is one of the most honored books in literature. Isolation, alienation, hate, fear, loneliness, America. All of these emotions and places swirl in a virtual maelstrom throughout the classic Invisible Man. This is a novel that no one should die not having read. I cannot think of a book that sums up the racial fears of a nation better than this. Ralph Ellison is a national treasure, a voice of a generation. His voice should never be forgotten and always turned to. His necessity has not dimmed with the passing years. New Orleans after Hurricane Katrina proved how much things have not changed since the time he wrote about life in Harlem.